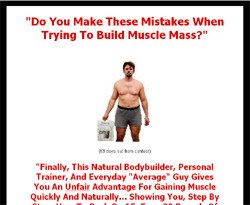 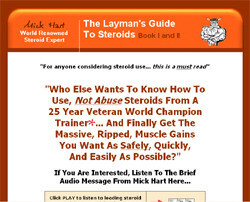 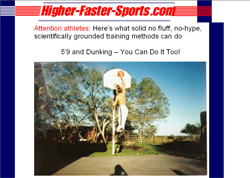 Fitness-eBooks.com - In "The Best Abdominal Exercises You've Never Heard Of," you are going to learn how to perform THE most effective abdominal exercises in existence. 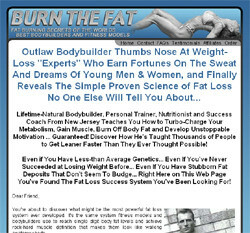 You will learn exercises that will: -Flatten your abs -Build rock-solid core strength and stability -Develop your six-pack abdominal muscles to their fullest potential -Tighten your waist -Define and develop your obliques and serratus muscles -Target your lower abs and belly bulge -Ensure that every moment of your ab workout is used to maximum efficiency, cutting your workout time to a fraction of what it was before, with stunning results! 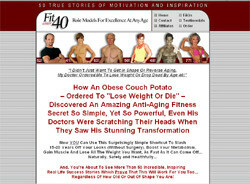 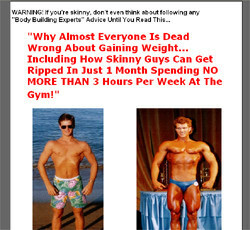 Tags: Anti-aging, Fitness Amazing inspirational anti-aging, health and weight loss e-book for the over 40 crowd.